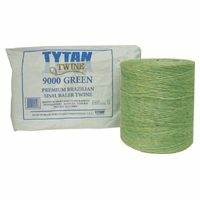 We offer premium quality Sisal Twine in 16,000 for round bales and 9,000' bundles for square bales. Little is more frustrating than cheap twine that is breaking on a hot humid summer afternoon especially when you are trying to get the job done before it rains. Demand the best and enjoy the process of putting up your hay. Sisal twine is biodegradable. If all of it is not cut off hay when being fed there is less danger to animals and equipment if not gotten up. 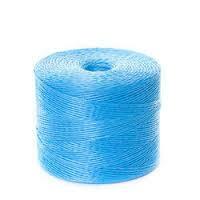 Know your knot strength and buy quality poly twine. Because poly is not plant based it is more consistent. Far more economical than sisal. 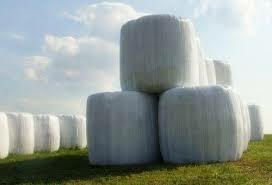 What we sell is strong and uniform for the ability to make heavier bales. Demand consistence to reduce knotter problems. More resistent to rotting, mold, insects and rodents than sisal. 9,000, 9,600 and 20,000 are common sizes. 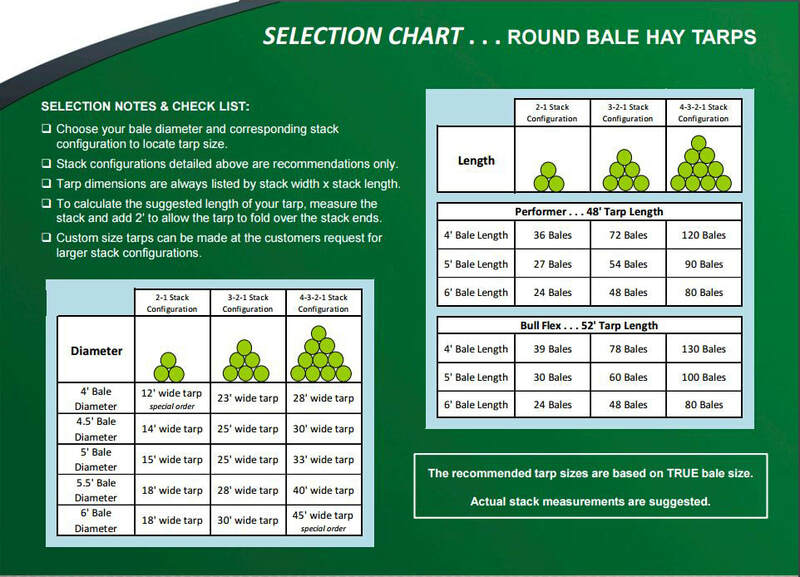 Most people prefer the 20,000 to bale longer with less down time. Sizes range up to 200' long. Common widths are 12, 16, 24, 32, 40, 50 and 60. Common bunker length is 100, 150 and 200 but we also have plastic sheeting in smaller rolls for other applications. The bale film and bale tubes we supply are formulated to provide high strength, tear resistance, easy handling and optimal preservation levels. Put up nutrient rich well preserved forage hay despite the weather with less leaf loss. ​​Common sizes are 20 & 30". 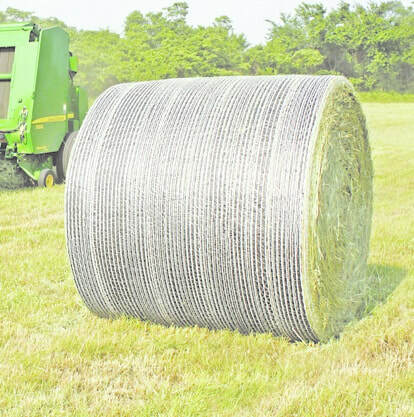 Bale netting has become an attractive alternative to twine for the wrapping of round hay bales. Only 2 -3 revolutions to wrap, means more bales per hour, less wear and tear on equipment, plus a savings in fuel. 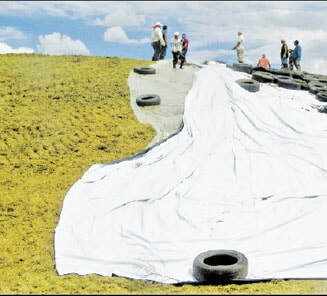 A fully covered bale means little crop loss when handling or transporting. Standard sizes are 48", 51" & 67".